Retirement has vastly changed over the years, particularly since the most recent recession. Your grandparents and parents likely relied on pensions, private savings, and Social Security to build a stable income for retirement. Today, there is an increasing burden on individuals and families to ensure their assets last through their retirement. These changes demand a new way of planning. Determining what elements impact your wealth-building potential. Mapping out a comprehensive plan designed to protect your assets and achieve your objectives. Evaluating the universe of retirement strategies available to you. 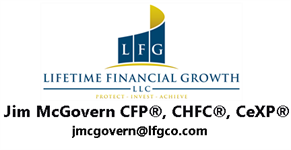 Developing a plan to maximize retirement income while minimizing risks and building tax strategies. Helping you understand the differences between investing and disinvesting. Providing you access to our industry-leading software program, The Living Balance Sheet®, to track your progress and help you stay on course.